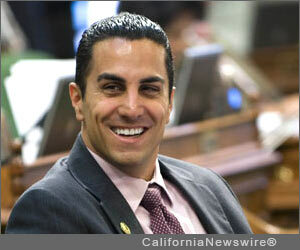 SACRAMENTO, Calif. /California Newswire/ — Today, Calif. Assemblyman Mike Gatto (D-Los Angeles) announced a package of reforms that will make parking policy more fair and affordable for California motorists. The California Parking Bill of Rights will change substantially how cities and other local governments manage and enforce parking laws, providing relief from unjust citations. The legislation is designed to make life a little easier, by prohibiting some of the most vexing practices. • Prohibiting cities from ticketing motorists who park at broken meters. The current law governing this (authored by Gatto in 2013) “sunsets” (expires) at the end of 2016. • Prohibiting valet-parking operators from excluding motorists from metered spots or loading zones. • Requiring cities, when installing new high-tech meters, to allow demand-based pricing. Motorists should not be required to pay the same fare at 11:00 pm that would be required at 11:00 am. • Reducing the ability of tow companies to fine individuals for cars illegally parked due to criminal activity that was no fault of the owner. Car-theft victims shouldn’t face high towing and storage bills because a car was dumped on a city street.